Most people assume that dating sites are for the young people. According to research, this assumption could not be further from the truth, in fact, research conducted by the relationship experts indicated that over 35% of dating sites are visited by seniors. 1. OurTime. OurTime is said to be very user friendly to the elderly. 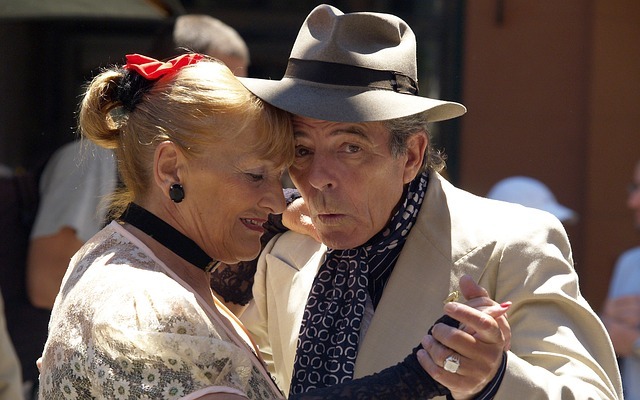 Since it was opened, its known to have more than 1.5 million visitors who are elderly and this makes it the best dating site for seniors to find his/her match. Another advantage to this site is that it’s designed to be easy for one to set up an account. All one has to do is to answer a few questions and after a few minutes they can start browsing other dating profiles freely. Once the account is set up, the user can communicate with their potential partner through online chats or message. In the future, users will be able to connect using social media through the site. 2. OkCupid. This is also another elderly friendly site. Its approximated to have over 3.5 million active users and like the OurTime dating site, the user also has to answer a few multiple questions for his/her account to be set up successfully. The site can be used for free but if you prefer to upgrade to the A-list, then a fee of $14.95 will be required. 3. Match.com I did a check on this site and I can guarantee you that this site has the most users. The site has over 16 million users from which 2 million are senior citizens. The questions are easy to answer and easy to set up an account. The downside to site very famous site is that:You can’t find a partner without paying for any of the plans the site offers. 4. eHarmony. eHarmony makes it easy for the seniors to find their matches as it has an inbuilt system that will search over the one million users and give you the best match. To set up an account, you have to answer about 258 questions which are based on a person’s psychology. For an elderly person, these questions seem like a lot but this do not let this discourage you. Once you are done, the eHarmony site compatibility software will search as long as it takes to find potential partners who fit your profile. 5. AARP dating site.This site is partnered with Howaboutwe.com. The partnership is to attract more visitors to the site. Its designers made sure that anyone visiting the site would find it easy to maneuver from one page to the other without the need of using a tutorial. For those who prefer face to face meetings, this is the best site to join as its main aim is to promote face to face interaction.